It has been a remarkably busy month for SSEP at the National Center for Earth and Space Science Education (NCESSE) and NanoRacks. It has included the return to Earth on Soyuz 35S of the Mission 3a Falcon I payload of 5 experiments on November 10, getting ready for the upcoming launch of the 23 combined experiments of the Mission 3b Falcon II and Mission 4 Orion payloads on Orb-1 on December 17, 2013, selection of the 15 flight experiments for Mission 5, and review and approval of Implementation Plans for Mission 6 communities. We are also gearing up for an early February 2014 announcement of opportunity for Mission 7, with program operations starting in September 2014, and flight to ISS in Spring 2015. Mission 7 is fully contained in the 2014-15 academic year. Here is an update of SSEP activity across all missions to ISS. Astronaut Luca Parmitano on the ground in Kazakhstan. Luca and astronaut Karen Nyberg operated the Falcon I payload of experiments aboard the International Space Station. On September 18, 2013, the Falcon I payload launched aboard Orb-D1 from the Mid-Atlantic Regional Spaceport (MARS), Wallops Island, Virginia, at 10:58 am EDT. Something of a traffic jam at ISS put off the successful and historic berthing of the Cygnus spacecraft until September 29, 2013. Experiment operations commenced aboard ISS on September 30, 2013, with the activation of two experiments. Details and times of all crew interactions with the experiments were being reported back to Earth, and documented on the Mission 3 to ISS Experiment Log page. This allowed all student flight experiment teams to carry out identical interactions on their experiments on the ground – the critically important ground truth experiments. Once the flight experiments are returned to the student teams, simultanoeus harvesting and analysis of flight and ground truth expeirments provides a comparison between the same experiment operating under the action of gravity, and operating without the influence of gravity. SSEPM3-01: Alpine, NJ, What is the effect of farming in microgravity using hydroponics, and how is it different from plants grown on Earth using the same method? The Falcon I payload returned to Earth a month ago on Soyuz 35S, landing in Kazakhstan on November 10, 2013, with three astronauts – Expedition 37 Commander Fyodor Yurchikhin (Russia), and Flight Engineers Karen Nyberg (NASA) and Luca Parmitano (ESA) … and the Olympic torch. (See November 10, 2013 blog post.) Within 48 hours, the payload was air-freighted from Kazakhstan to Johnson Space Center in Houston, and FedExed to the student flight teams. Flight teams are now in the midst of experiment analysis, and NCESSE is looking forward to oral presentations at the expected 4th annual SSEP National Conference at the Smithsonian National Air and Space Museum, likely July 2-3, 2014. Besides the five Mission 3a experiments, the Falcon I payload included a re-flight of a Mission 1 experiment from San Marino, California, on the Effect of Microgravity on the Antibacterial Resistance of P. aeruginosa, and a re-flight of a Mission 2 experiment from Russell County, Virginia, on the Rate of Oxidation in a Microgravity Environment. With the return to Earth of these two experiments on November 10, 2013, Missions 1 and 2 to ISS have now been completed. We are now at T Minus 8 Days, 11 Hours from the launch of Orbital Sciences 1 (Orb-1) out of the Mid-Atlantic Regional Spaceport, Wallops Island, VA. Aboard the Cygnus spacecraft will be the Mission 3b Falcon II payload of 12 experiments, and the Mission 4 Orion payload of 11 experiments. The flight is currently scheduled for 10:04 pm EST on December 17, 2013. We are expecting over 120 attendees from 9 SSEP communities. A total of 23 student researcher PIs, Co-Is, and Collaborators will be on hand to watch their experiments launch into space, hopefully from just a mile from the pad. The night launch will be spectacular, and will be visible along the mid-atlantic Eastern Seaboard of the US. SSEP Flight Operations Manager Stacy Hamel has been working closely with all 23 experiment teams to lock in the final flight configurations of their experiments. A formal and significant sign-off procedure locks in: fluid and solid volumes and concentrations for all experiment samples; the Crew Interaction Days aboard ISS and the specific crew interactions; and any special handling requirements during transport. To accomplish this required significant coordination between NCESSE, all 23 flight teams, and NanoRacks. NanoRacks in turn coordinates with NASA Toxicology, and NASA Crew Scheduling to formally integrate SSEP operations into planned crew activities. By November 15, 2013, all experiment launch configurations had been approved. All 23 flight mini-laboratories were received by NanoRacks in Houston by the Tuesday, December 3, 2013 deadline. NanoRacks has now integrated all mini-labs into the Falcon II and Orion payloads, and is turning over the payloads to NASA for vehicle integration into the Cygnus vehicle. It is worth noting that any mini-lab not received by the December 3 deadline would have resulted in loss of flight for the student flight team. This is the real Space Program, deadlines are vital for success, and every one of the 23 flight teams went through this rather intense effort of locking down the experiment flight configuration, careful loading of flight and ground-truth mini-labs, and shipping of the flight mini-lab to Houston by deadline. To all flight teams – you should be very proud of what you have accomplished. You were asked to be microgravity researchers in every sense, with real scientific investigations of your own design flying to the International Space Station. You stepped to the plate. They are flying. And some of you are as young as 10 years old. I think the lesson here is let’s given our students. … our children … a chance – right now – to be the next generation of explorers. And shouldn’t this be a core element of science and STEM education? Finally, the student researchers with flight experiments on Orb-1 represent the culmination of an enormous effort across the 23 communities of Mission 3b and 4. These 23 experiments resulted from 9,495 students fully immersed in microgravity experiment design, and were selected from 1,841 proposals submitted by student teams. This is real science. 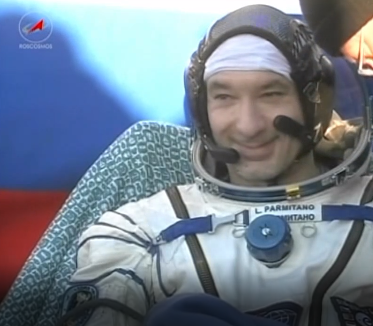 This is real spaceflight. It was the promise of SSEP. There are 15 Mission 5 communities that have been following spaceflight operations for Mission 3 and 4. It is a dress rehearsal for the flight of their experiments in Spring 2014 as the Charlie Brown payload. 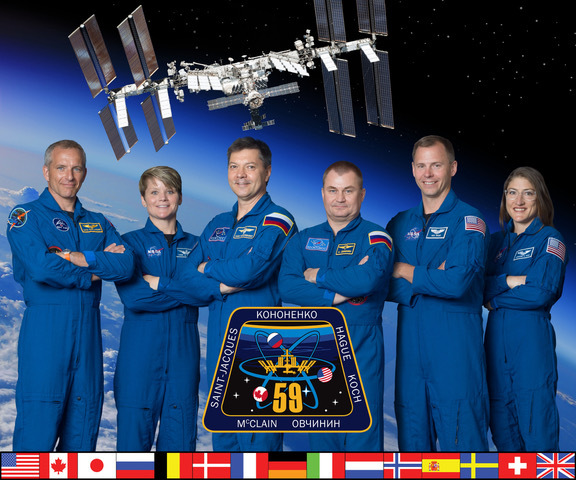 Mission 5 program operations started September 9, 2013, followed by 9 weeks of microgravity experiment design and proposal writing. While final data is not yet available, the 15 Mission 5 Implementation Plans approved by NCESSE indicated that 6,990 students would be fully immersed in experiment design, and a minimum of 1,280 proposals were expected from student teams. As of now, 10 of 15 communities have reported actual numbers, and thus far we know that 4,730 students were engaged and 1,042 proposals were received. We are on track to meet and exceed the projected numbers. Each community submitted 3 finalist experiment proposals to NCESSE by the 10:00 PM EST deadline on November 25, 2013. On December 3 and 4 the SSEP National Step 2 Review Board for Mission 5 to ISS, comprised of 17 researchers and educators, convened at the Smithsonian National Air and Space Museum to tentatively select the 15 flight experiments. Each of five sub-panels reviewed proposals from 3 communities. SSEP Flight Ops Manager Stacy Hamel is now in the process of addressing any outstanding issues identified by the Review Board for the 15 tentatively selected experiments and locking in experiment details in advance of NASA Flight Safety Review which starts December 18, 2013. Flight experiments must be formally selected by December 12, 2013. All 15 student flight teams are now racing to meet this deadline through submission and approval of a Flight Details Confirmation Form for Flight Safety Review. The Mission 6 to ISS opportunity was announced on October 3, 2013. NCESSE has spoken to nearly 100 communities about the opportunity. Implementation Plans have now been approved for 20 communities, and as of today, NCESSE is formally starting fundraising activity. Our goal is to get all 20 communities aboard – which would be the largest participation yet in a SSEP flight opportunity. Mission 6 to ISS program operations start on February 24, 2014, with flight of the Yankee Clipper payload of experiments to ISS in Fall 2014. We hope this update provides a sense of the richness of this program, which was designed as a model U.S. National STEM education initiative. Described above is the full lifecycle of a SSEP flight opportunity, and how 28,600 grade 5-14 students have now been full immersed in real microgravity experiment design since program inception 3.5 years ago, in June 2010. It is also about partnership. Over 350 organizations have supported SSEP operations as Local Partners. Through partnership and teamwork, you can move mountains. Stay tuned for the Mission 7 to ISS announcement of opportunity in early 2014, and the flight of the Odyssey experiments payload in Spring 2015. The Smithsonian National Air and Space Museum, Center for the Advancement of Science in Space (CASIS), Carnegie Institution of Washington, NASA Nebraska Space Grant Consortium, and Subaru of America, Inc., are National Partners on the Student Spaceflight Experiments Program.